The classic garlic spread that started it all. 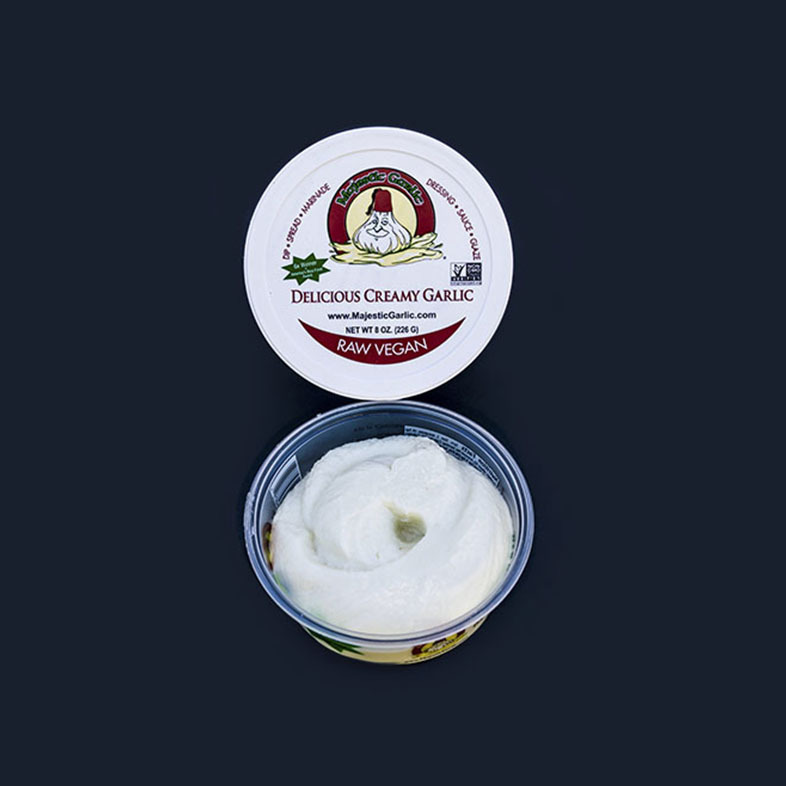 Whipped to perfection, creamy and smooth, our raw garlic spread adds incredible garlic flavor to your favorite dishes. Whatever flavor you choose, use it as a healthy alternative to mayonnaise, or sour cream, in pasta dishes, and sauces, as a marinade, or as a dip. Delicious spread over toast, omelettes, or used to season your favorite breakfast burritos or tacos. 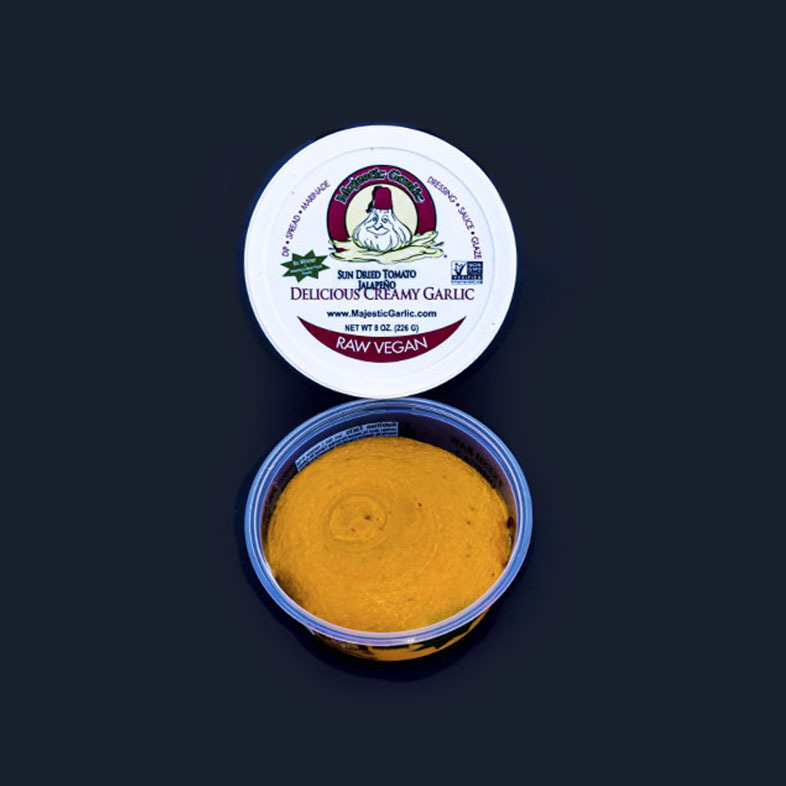 Majestic Garlic spread is made from 100% USA organic fresh raw garlic, organic cold milled flaxseed, organic safflower oil, organic sea salt, and fresh lemon juice in our Original Creamy Garlic.